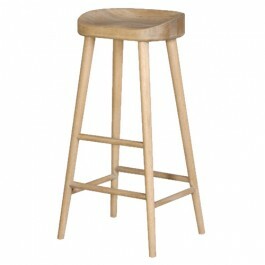 The Weathered Oak Farmhouse Stool, a tall solid oak bar stool with a natural, robust weathered finish. Created with a curved and comfortable seat and foot rests to suit different heights. 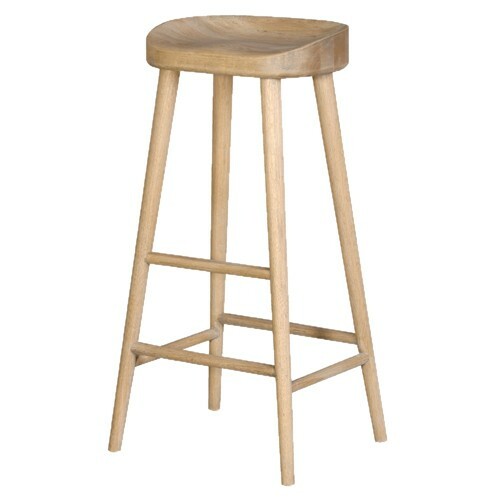 Ideal as a breakfast bar stool. HEIGHT TO BACK OF SEAT 71CM.